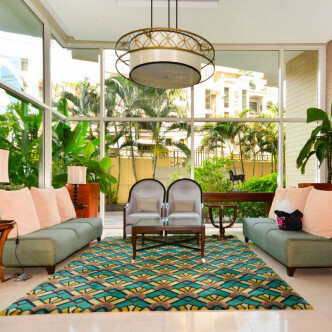 Residents of The Royal Saladaeng are given the choice of 71 fashionably decorated and spacious units, each of which is fully furnished. 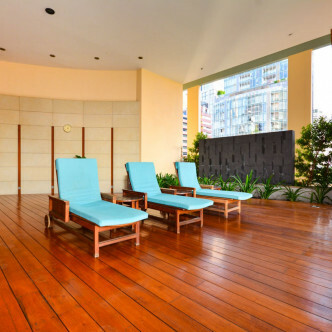 This building is a real oasis in one of the city’s main business districts and features an impressive 29 floors that provide Impressive city views from their large balconies and picture windows. 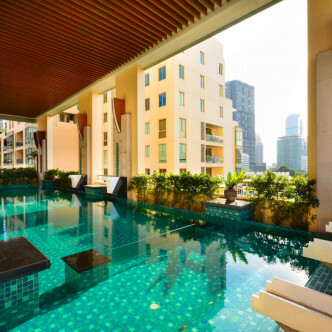 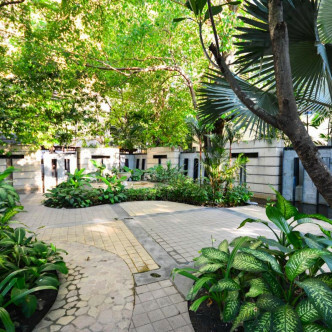 Residents who like to unwind in style will love wandering through the large shady garden at The Royal Saladaeng. 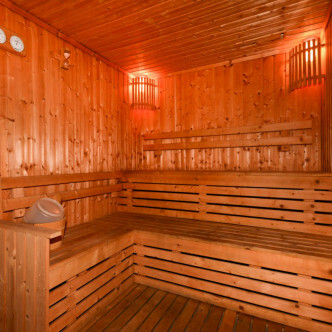 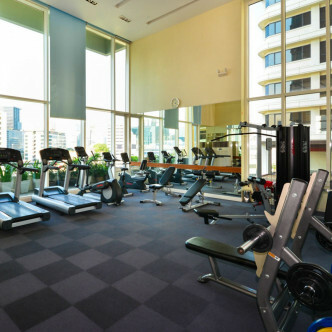 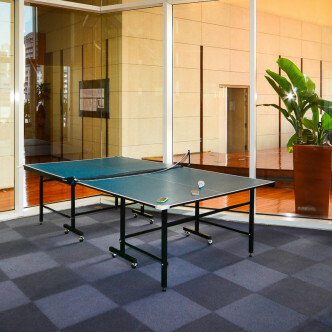 Of course, there are also plenty of facilities for those who like to be active and playing table tennis, working out in the fitness centre and swimming in the gorgeous outdoor swimming pool are all experiences that are waiting to be enjoyed here. 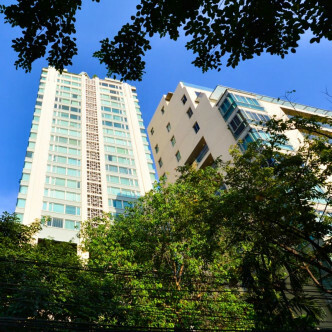 As the name suggests, the location of this building is in the Sala Daeng district and in fact Sala Daeng BTS station is just a short stroll away. 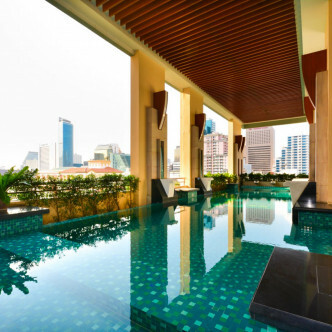 This vibrant section of the city has a lot to offer residents and there are plenty of great restaurants here as well as some of the choicest schools in the whole of Bangkok.